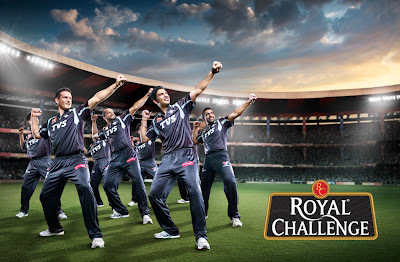 Here's an image from the upcoming IPL campaign featuring the Pune Warriors. Special thanks to Arun Kumar at Rediff Bangalore, my producer Mithika and Paul Lang for his post work. So nice and amazing shot!!! Would you mind to share with us anything about set up and post process?? ?